An LGBT magazine in the Middle East was praised by many for publishing in Arabic, but now the founders are facing lawsuits and death threats. 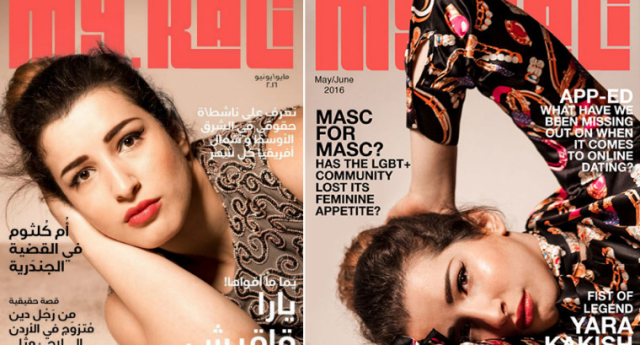 My Kali, an online LGBT magazine in Jordan, published their first issue in Arabic for its May/June edition. People around the world praised the magazine’s decision, but several others have begun sending death threats and lawsuits to the founder’s of My Kali for “promoting homosexuality”. “When I started the magazine, I was trying to not be noticed in Jordanian society for fear of backlash,” said Khalid Abdel-Hadi, a magazine founder. “The change came after so many gay people, who can only read Arabic, wanted us to do an Arabic edition. After nine years of publishing, the Arabic edition spurred the backlash Abdel-Hadi had feared from the start. Other news outlets questioned why My Kali was “provoking the public” and suggested the magazine is not an officially registered title. Some people living in the Middle East accused the magazine of being funded “by the West to implement homosexuality” and holding a “foreign agenda”. The Media Commission of Jordan released a statement saying My Kali is indeed not registered and, if proven to be printed, a lawsuit will follow. However, the magazine was not printed and founders have no intentions of publishing a hard copy. “The Magazine has never aimed to undermine the traditions and culture of Jordanian society, nor does it endeavor to spread homosexuality as some have claimed,” My Kali said in a statement to Gay Star News. Homosexuality and Islam: What does the Qur’an actually say about gay people?